A milk chocolate dessert with milk chocolate pieces. Cadbury Flake Twin Pot Chocolate Potted Desserts have crumbly mini flake pieces that can be tipped into a smooth Cadbury milk chocolate dessert. 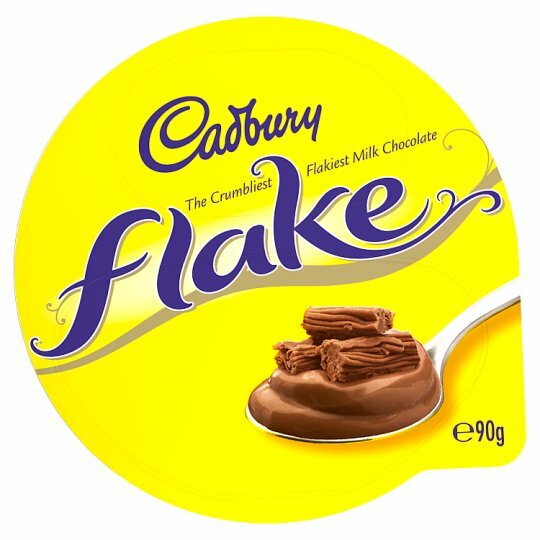 Enjoy the Cadbury Flake Chocolate potted dessert as the perfect lunchtime or after dinner treat.